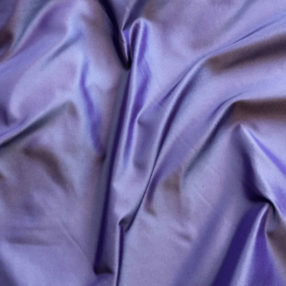 This is a lovely 100% silk taffeta in Purple Ice. The threads are ivory crossed with purple. It is a great color that reminds us of French bonbons.